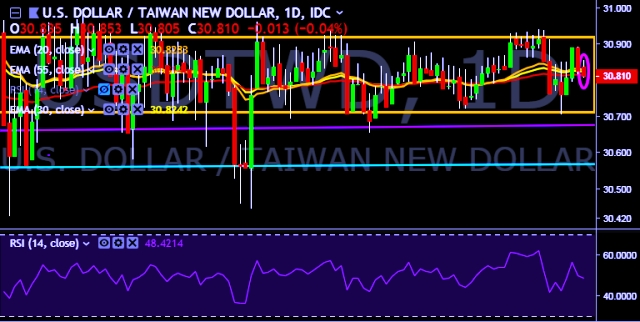 USD/TWD is currently trading around 30.81 marks. It made intraday high at 30.85 and low at 30.80 marks. Taiwan stocks open up 0.3 pct at 10,506.68 points.